Thanks to some dude named Tom, the Consumerist reported a little fudging by the Pringles folk! Check it out. 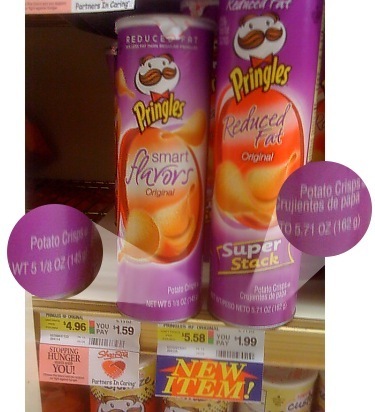 The supersized Pringles can costs 25% more than the smaller version; however, the new package only has 12% more food! GRRRRR!!! !